As I've said before, I definitely don't claim to be any sort of professional graphic designer, but I'm pretty proud of these! They ended up going with option 2 if you're curious. The photo we ended up using was from our trip to Italy this past summer. We were in Venice our last few days and as we were walking to dinner on our last night, we bribed an Italian man (well not bribed - asked very nicely) to take our picture. He was about as excited about doing that as he would have been if he had to get a root canal - it was so strange! But we made the most of it and are pretty happy with the result. Now, are you wondering why we we're "dancing" randomly by the canals in Venice? There's a back story to that...and it comes from oh-so-long ago in 2010. 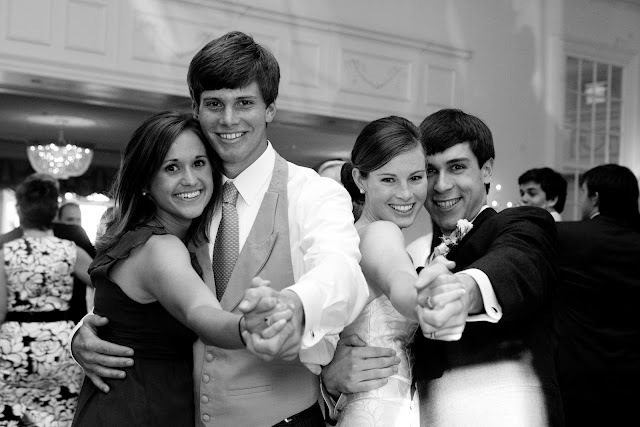 It goes a little something like this: at my wedding, our photographer (who also happens to be my cousin) caught a photo of my brother, sister-in-law (then girlfriend), Charlie and me on the dance floor. 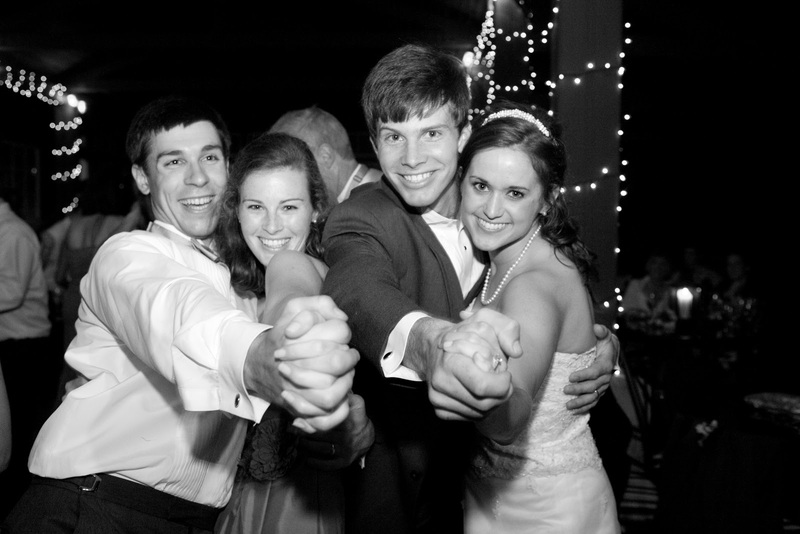 We just froze, mid-dance move, and this candid photo is what came out. 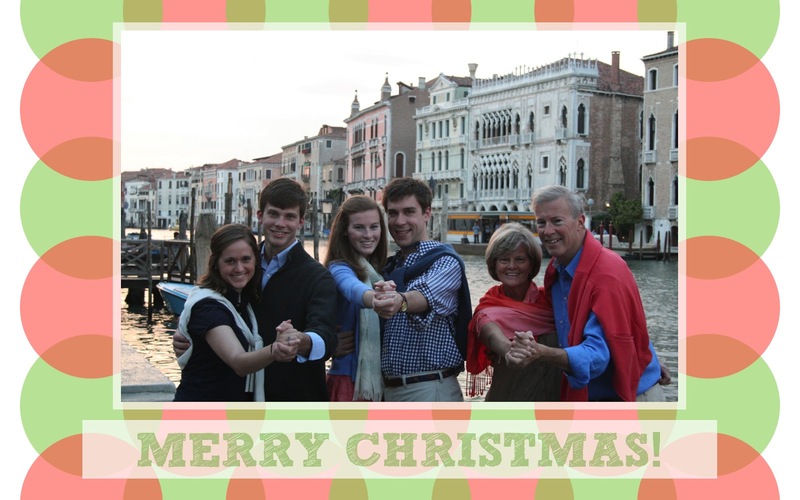 There's actually one of my whole family (including my parents), that I can't currently locate (arg), that we used as our Christmas card last year. As a result, we've sort of started a little tradition of doing that pose each year for our family Christmas card photo. Cute, huh? 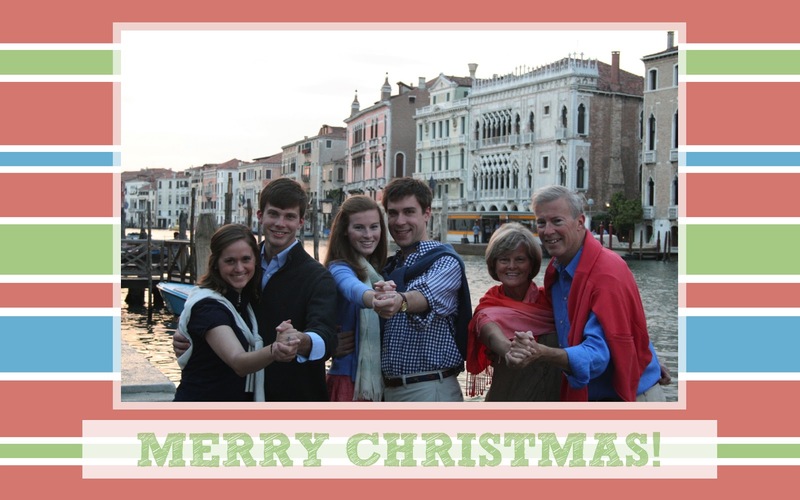 So there's the story of my parents' Christmas card. Do you have any traditions for your family's card? Poses? Matching outfits? Do tell! P.S. Like I mentioned in an earlier post this week, if you like either of these designs and want to use one of them for your Christmas card this year, let me know, and we'll work it out. I can put them in my Etsy shop if there's some interest!